Best Orlando Vacation: Harry Potter Forbidden Journey Videos Up - Complete Ride Video Too! Harry Potter Forbidden Journey Videos Up - Complete Ride Video Too! Just went live with my Harry Potter and the Forbidden Journey videos on the site and created a page for those interested in the Forbidden Journey ride at Universal's Island of Adventure in Orlando. Pulled together several videos of the experience Harry Potter fans should view. 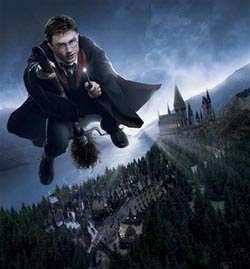 Have fun - Getting really for the Grand Opening of Harry Potter on Friday! Hi, I went to the park a few days ago. They did a great job and the forbidden journey ride was great. Listen, I've been trying to find out where to contact you. I have several Orlando websites myself and would love to swap links with you, maybe even post blog articles to each other.